In just six sleeps from now, Dami Im will take to the stage to perform for the European voting public as part of the 2016 Eurovision Song Contest. But the nerve-wracking performance isn’t all Dami’s got going on right now. There’s her just-released Carpenters covers album ‘Classic Carpenters’, as well as a mammoth national tour, due to kick off on the first of July. We sat down for a bit of face to face time with the glamorous Queensland songstress to find out how she’s coping with it all. Yeah, everything just kinda happened at the same time. I mean, so busy. Physically, I’m exhausted, but it’s really good. It’s good that I get this chance to do all this and that people want to hear about me! Well let’s start with The Carpenters first and foremost and talk about how your love of the band first came about. My parents were big Carpenters fans from when I was very young. They used to play their songs in the car. On the radio! (laughs). I didn’t really know who the band was… I just thought they were great songs. Then when I got into my 20s, when I was doing gigs at this tiny restaurant in Brisbane, I used to sing some of their songs. They’re so great, they’re beautiful and they’re really well written. So I thought I should bring them back and do it in my own style. Just do it at the piano, because that’s what I love to do. I started playing piano way before I started singing, so it just made sense to do it and I loved every process of it. Piano was obviously your first love, so when was it that you discovered that, ‘you know what, I do actually have a fantastic voice too’? Was it someone who pointed it out to you? I played piano from when I was about five years old and I did classical music from when I was about 13 or something. Then I started listening to K-Pop and then I started listening to pop and I thought, ‘well this is what I really love’. But I never really had the courage to say that’s what I wanted to do. I started recording myself in my room and listening back I knew I wasn’t good enough. I was really not good at all back then. But I just loved it, so I kept doing it. And then I guess when I got to university I was doing piano, but I got to do a lot more singing. My Korean church in Brisbane wanted to hear me sing. And I guess church was a friendly environment where people would be encouraging. They’d tell me I was amazing. I wasn’t that amazing, but I got the encouragement. Eventually I guess I did improve to a point where I thought, ‘maybe I want to do this and take singing a bit more seriously’. So let’s go back to Carpenters and how the album came to be. Who made the suggestion to do a collection of Carpenters covers? I sort of knew I wanted to do something with the Carpenters. I just loved the songs, but I never really thought about putting an album together until about a year ago, maybe a little more than a year. I just thought it would be good to try it. So I started recording my favourite songs on piano just at home and then I sent it to Bry Jones, who was the producer on it, and he told me they were really great. So we started talking about it and then decided to do an album. How’s the feedback been on it so far? It debuted at No.1 on the iTunes chart before Prince died. Oh we know! And hello… with your connection to ‘Purple Rain’ and everything too…! We guess what we’re asking is that The Carpenters have some very loyal fans and obviously they wouldn’t want you to tamper with things too much in a musical sense. You seem to have put your own spin on the songs, but you haven’t tampered with the melodies in any way. How daunting was it for you to have to tread that line? You’ve kind of said it. But I felt that I didn’t want people to listen to the album and not be able to recognise what song it was. It was important to me that I stayed true to how Karen Carpenter did it. The difference is obviously, that her voice is a lot deeper than mine. Mine’s more soprano, where she was more like an alto. And I just felt that without going too much away from how it was done by her, I wanted to just to sit right with my voice in it. It was important to me to have a very honest rendition where I’m not trying to be somebody else. But it’s just that I had to keep practising and sending my demos back and forth until I was at a place where it was convincing enough that I was singing it from my own heart and that I wasn’t just copying her. So that was important, but still without changing things around too much. I actually really enjoyed the whole process. And more than any other project that I’ve done so far. Because they’re such well-written songs, when I was working out arrangements and how I was going to sing it, it was much easier. If they weren’t great songs, it would have been very daunting, but great melodies, great lyrics… so it wasn’t that hard. It took us time to get it right, but the songs led themselves. Have you got a favourite on the album? Oh my god. All my favourites. And I say a different one every time someone asks me. Because… I don’t know… I like them all, but I really like ‘A Kinda Hush’. It’s probably not the most well known of the songs, but we put this really nice groove to it. It’s a very feel-good song. Another one of my favourites is ‘I Need To Be In Love’. That one was apparently Karen’s favourite song ever. Written by Richard Carpenter. It makes me want to cry when I sing that song, because Karen’s life… obviously she died from complications with anorexia, but she’d never really found herself in a long term relationship. I feel like she was always feeling lonely and that song really kind of summarised the way she was feeling when she was at the height of her career. Well when you are at the height of your career, it’s probably difficult for people in your position to know who to trust – and whether the people are liking you for you or for who they perceive you to be as the star. You’re a very lucky girl in that respect! We’re going back to the word “daunting” again, because we want to talk Eurovision, obviously… How daunted are you to be taking on the rest of Europe? I’m really starting to feel it now that it’s getting so close. I’m feeling a little bit nervous, but I’m more excited than anything. Well it’s the second semi final… Are you about number ten in the running order? Somewhere in the middle. I think ten, yeah. What’s the plan? How are you planning to bring it home for us? I think it’s important to have a really good song. And I think I have a great song. I’m really happy with what I’ve got in ‘Sound Of Silence’. I guess I’ve got to just perform and take it up a notch during the performance with my vocals, with the costume and the whole stage design. I’ve just got to really engage and connect with the audience on the night. As far as the performance aspect of the performance, what can we expect? It’s quite a spectacular stage, isn’t it? Have you seen it already? I’ve seen pictures of it, not properly yet. It’s a really big stage and there’s a great team around me working on all the designs and I’m hoping that people will be surprised with what we’ve come up with. The betting has tightened too… Have you been keeping up with that? Yeaaahhh! People keep telling me! It’s amazing! How does that impact your thinking going into the competition? It’s so flattering, because there are forty-something countries in it. So to be up that high is amazing and I guess it gets my hopes up really high as well. I’m thinking, ‘maybe I’m a chance!?’! Of course you’re a chance! No! But it makes me want to get it right and have the best performance of my life. I want to… I want to win! Well obviously it wouldn’t be the first time that you’ve won in your life. But as far as taking it to Europe is concerned, how will Europe react to having this fabulous young woman from Australia trying to muscle in on their competition? I think it’s so weird that a Korean person is representing Australia at Eurovision. It’s really weird. But I think Europe likes weird. They like different. Is he actually going to literally be naked on that stage? …That’s going to be a ‘no’. Maybe he can have soft toys or something. We’ll see! But yeah, I don’t have to do anything like that; I can just perform at my best and I feel that I can still stand out just by being who I am. Well we know how extraordinary you are vocally. So we’re not worried about your vocal performance… you’re going to slay it. Are you hoping to use the competition to springboard into a career in Europe? I hope so. I feel like this is the best chance to grow my fanbase overseas. So hopefully this will lead to bigger things. So do you look back on that transition from the days of performing in church back in Logan to this massive stage in front of all of Europe in a state of awe? Oh yeah. Everything just flowed and everything happened so perfectly. It couldn’t have gone better for me, so I’m just so grateful and amazed at how things have turned out. It’s just the biggest honour. When I arrived in Australia at the age of nine, I never imagined I could represent the country, so it’s pretty amazing. We wanted to ask about this tour before we wrap up, because it’s a massive undertaking. You’re literally going through from the first of July all the way through to the middle of December! Are you mad!? (giggles) Well… You can imagine. And a few other surprises I guess. But yeah, I’m just looking forward to finally going out there as an artist, as a musician, just meeting people. I just want to give people an amazing musical experience. I want them to listen and be satisfied with the sound, you know? It’ll be great to finally see the fans all over the country who actually voted for me on ‘X Factor’ and cheered for me on Eurovision. And as far as what comes next after the Carpenters, Eurovision and the tour…? Are you going to be doing some more originals into the future? Yes. After Eurovision, I’m hoping to stay behind in Sweden and write some more songs. How good is Sweden? Literally the centre of where all good pop emanates from. Exactly. All the great writers are there. 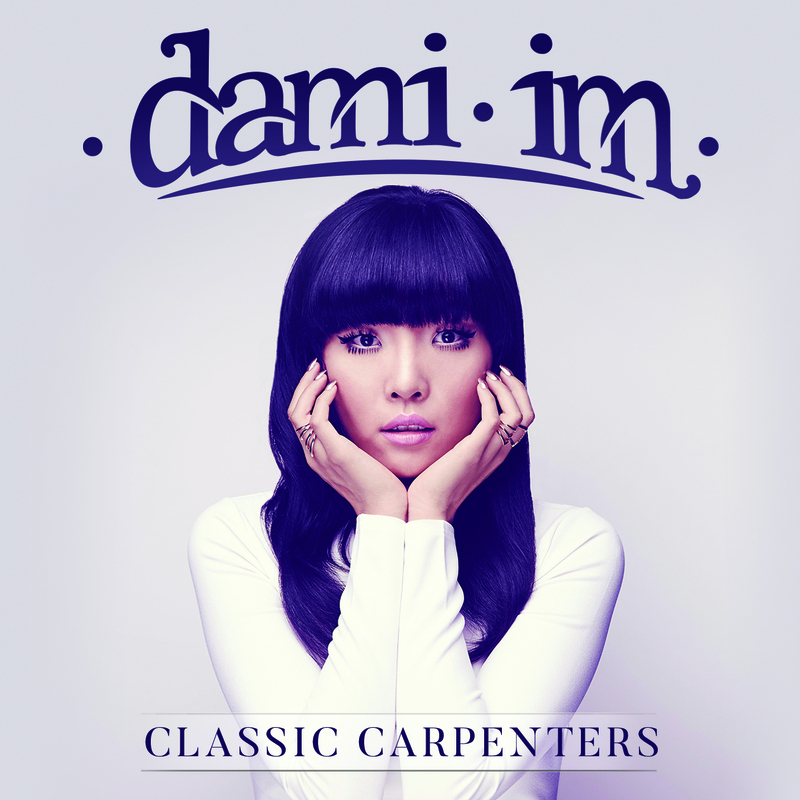 Dami’s new album ‘Classic Carpenters’ and her Eurovision single ‘Sound of Silence’ are out now. Catch Dami performing ‘Sound Of Silence’ at the Eurovision Song Contest on SBS live at 5am AET on Friday May 13 or on replay at 7:30pm on Saturday May 14.